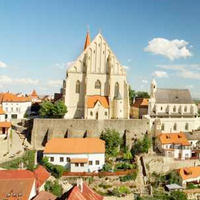 Znojmo is located near the southern border of the Czech Republic, not far from Vienna and Bratislava -- Prague and Budapest are also within convenient travel distance. 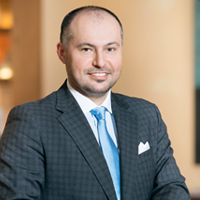 There, since early 2010, Petr Kovaljov has represented the Fritz Rudolf Künker GmbH & Co. KG. You may obtain expert information from him in all areas of the coin trade and of phaleristics. Bohemian numismatics and the coinage of the Moravian region are two of the specialized areas of coin history to which he has, in particular, applied himself. For collectors from the Czech Republic, Slovakia, Hungary or Lower Austria, our office in Znojmo offers the most direct and convenient way to contact Künker directly. Herr Kovaljov will be glad to answer all questions about upcoming coin auctions. He can accept consignments of coins and medals for the Künker auctions, and can also represent you at international auctions. Please make an appointment so that Herr Kovaljov can dedicate the required time and serious attention to your issue.